Size of this preview: 425 × 600 pixels. Other resolutions: 170 × 240 pixels | 340 × 480 pixels | 544 × 768 pixels | 726 × 1,024 pixels | 2,729 × 3,851 pixels. 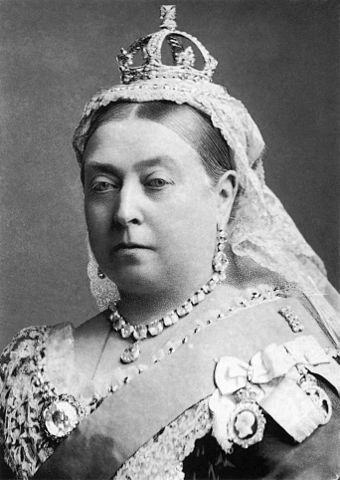 This image is a JPEG version of the original PNG image at File: Queen Victoria by Bassano.png. Source Scanned from the book The National Portrait Gallery History of the Kings and Queens of England by David Williamson, ISBN 1855142287, p. 153. The author died in 1913, so this work is in the public domain in its country of origin and other countries and areas where the copyright term is the author's life plus 100 years or less. 17:45, 17 September 2011 2,729 × 3,851 (2.03 MB) Quibik Removed all interference patterns.